• Completion of 8 week MBSR course or equivalent as a participant. The 5 day intensive format is also acceptable if it includes at least 55 hours of instruction. Online versions may be acceptable as determined by MBSR Canada. The course located at www.mbsrtraining.com is acceptable. • Participation in at least one silent, teacher-led, 5-10 day mindfulness meditation retreat within the last three years. • Daily meditation practice for a least one year. completion of a 2nd silent, teacher-led, 5-10 day mindfulness meditation retreat. 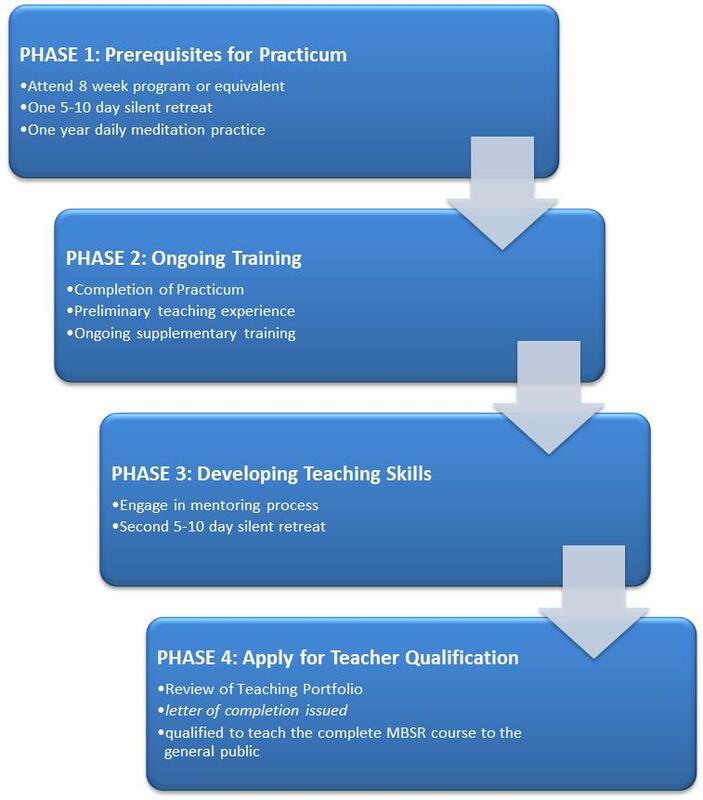 • By successfully completing Phase 3 you will have the minimum qualifications to teach the complete MBSR course to the general public on your own. MBSR Ottawa will issue a letter of completion.